The amended Airborne Toxic Control Measure for Stationary Compression Ignition Engines (ATCM) (effective October 18, 2007) includes requirements for stationary and portable diesel-fueled engines used exclusively in agriculture. Typically, these engines are used to pump water or provide power for growing crops or raising livestock. The amended ATCM affects the sale, purchase, installation, and use of new/used and in-use stationary and portable agricultural engines. 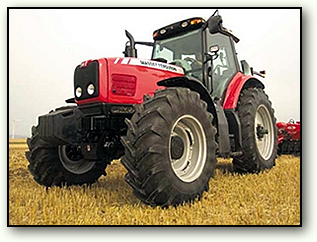 The amended ATCM does not affect agricultural wind machines or motive (self-propelled) agricultural equipment with engines, such as tractors or harvesters; however, diesel engines not affected by the ATCM may be subject to other air quality regulations. Diesel engines used in agricultural production are a source of emissions for diesel exhaust particulate matter (diesel PM) and other pollutants that have known health effects. Owners or operators of affected engines were required to submit registration information to local air districts by March 1, 2008. California emission standards and other requirements regulate the sale, purchase, rental/lease, and operation of diesel engines, including diesel engines used in agriculture. 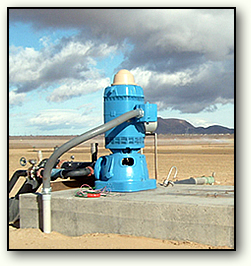 ARB has recently become aware that used Tier 0 diesel agricultural irrigation pump and gen set engines advertised on EBay, Craig's List, and similar websites do not meet Stationary Diesel Engine Airborne Toxic Control Measure (ATCM) emission standards for the installation and use of agricultural engines. ARB has notified these websites about the ATCM and requested that they publish disclaimers with ads for Tier 0 engines. B. Engineering analysis fee pursuant to Rule 303, Miscellaneous Fees ($100/hr). C. Annual registration fee pursuant to Schedule 7 (Agricultural Engine Registration Schedule) of Rule 302, Permit Fee Schedules. In the 2007 State Implementation Plan, ARB committed to developing a control measure to reduce emissions from In-Use Agricultural Equipment and currently plan to develop and bring this measure to the Board near the end of 2010. The goal of a proposed measure would be to accelerate fleet turnover to equipment with engines meeting cleaner NOx and PM standards. ARB staff plan to consider measures to reduce emissions from Ag off-road tractors and other mobile equipment in the future. ARB has no proposal available at this time for these planned regulations to reduce diesel particulate matter (PM) and oxides of nitrogen (NOx) emissions from agricultural in-use (existing) off-road mobile equipment in California. These future regulations would address strategies for exhaust control technology and the accelerated replacement of 25 or greater HP used in agricultural operations. If you wish to receive notices to stay informed of future regulatory progress, including the release of proposed regulations and workshop notifications, please sign up for the "inuseag" list serve.